I spent many, many childhood nights, sleeping in my grandparents’ home. Memory is a mythmaker, and for the longest time, I remembered my grandparents’ home as being a grand brick house with a white wooden porch along the back. The one from the garden, inside. After a more careful examination of my memories, I realized that my grandparents lived in a small brick house, and it only had 2 bedrooms, a kitchen, a living room, a dining room, and a porch. I slept in the same room as the Indian Maiden. My grandparents were plain and simple people. The Indian Maiden is the only framed artwork that I remember hanging on their walls. A bank calendar was always hung on the kitchen wall, and it always had pretty pictures on it. Those came and went, but the Indian Maiden was the only image in my grandparents’ home that you might call art. It was the only image that remained constant, and when I was a child, I felt that The Indian Maiden by Moonlight was beckoning me into some foreign and enchanted land. My grandparents’ guest bedroom had a tall feather bed in it. When I spent the night at my grandparents’ house, and after everyone else had gone to their own rooms and to bed, I would sit, propped on my grandmother’s feather bed for a while, and I would simply look around me and think. The bedroom was a small room that was almost wall-to-wall furniture, and yet, there were only two pieces of furniture in the room. 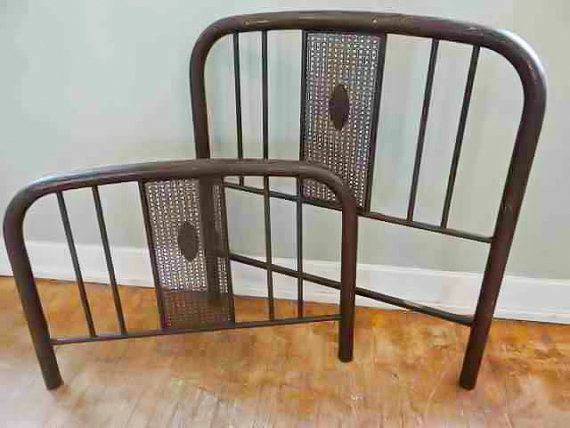 One piece of my grandmother’s bedroom furniture was an iron bed. That lasted through the night. It wasn’t a fancy iron bed. It had fat tubes of iron that were welded together in an unceremonious way. A little light was mounted on the top of the headboard, and when I pulled the cord, little round balls of steel would grind against each other until a light would pop on or pop off. I would sit there, in the little lamp’s light, and I would feast upon the sights and sounds of spending the night away from home, in a very special room. My grandmother had a wringer washer and after she washed her bed sheets, she hung them outside to dry. Clothes that are hung outside to dry have a special smell and feel about them.They are stiffer and they smell sweeter and fresher than clothes that are dried in a dryer. The sheets on the bed where I spent the nights at my grandmother’s house had been washed and hung out to dry. Afterward, my grandmother would starch them and iron them. I have a special window spot. I sit here late at night. That paints my window white. I love to sit here when it rains. To watch the water run. And then I watch the Sun. When I was a child, I lived in a cotton-growing, rural community, and I rarely left that community, but because I lived in a home with parents and grandparents who loved me and who welcomed my imagination, I traveled millions of miles, each time I walked out my door. When I was a child, my house was only a street behind my grandparents’ house, and many times a day, I would walk through my neighbor’s yard and through an alley. Then, I would pass beneath a jungle of tall hollyhocks. As soon as I entered into the expanse of hollyhocks, I felt that I had reached another land. Like the Land of Oz, it was a land of color and flowers. Sleeping in my grandmother’s bedroom was a vacation for me. It was the feeling of being held in the arms of starched clean sheets–of being rocked to sleep by an ever-shifting feather bed, of being sung a lullaby of wind that is fluttering along lace curtains and across my bed, and it was a voyage with an Indian Maiden, along a mountain riverway, and into the night. The land in the Bootheel of Southeast Missouri, where I grew up, has always been prime farmland, and little of it is sacrificed for trees or for bodies of water. A few ditches are etched across the terrain. Those ditches were dug long ago to contain the Mississippi River, should it decide to jump out of its banks again, but they were small and unpretentious strips of water. Even their names were unpretentious. They were named 1 Ditch, 2 Ditch, and 3 Ditch, and along the banks of each little ditch, a few scraggly trees clamored toward the light. When I was a child, the rest of the ground around my community was allocated to the growing and harvesting of cotton, but when I was all alone in my grandmother’s guest room and flicking the light on and off, I could gaze at an Indian Maiden who I could see was somewhere far, far away. She wasn’t in a flat cotton patch, surrounded by miles of cotton. She was high on a mountain, framed by the forests and a river that could carry her even deeper into some mythical realm. When I was a child, my Indian Maiden beckoned me to expand and to feel and to become more than I was. The Indian Maiden was mounted on Grandma’s wall. An azure river meandered along, carrying my childhood with it. Somewhere along the way, the maiden and I had become one. Years after her passing, I still sit. The browns and oranges and reds of fall surround me. And I am perched on the autumn of my life.